Yupe, I will be leaving on a jet plane tomorrow to Bangkok for a 1 week vacation. Finally I could get some good rest and hopefully it will be a great vacation. All the photography gears are ready with me and I am ready to get myself for a photography journey as well. :) (Hopefully I will be able to get some good travel photos back and share it with all of you here). Anyway, it is pretty much the end of the day for me now... I think I will let myself cold down (the nervous mind) and get myself ready for my tour. (YooHOo~~!) :) and the photo for today before I depart will be "View at the Window". It is actually taken at somewhere which I have been through a few times and love the natural lighting from that little window to the plant, so I decided to get my camera when I am there the next time to capture the photo. And here we are... "View at the Window" and hopefully the view from the (for everyone) at their own window/heart will a nice and lovely one. Henry J Waternoose, III in action. 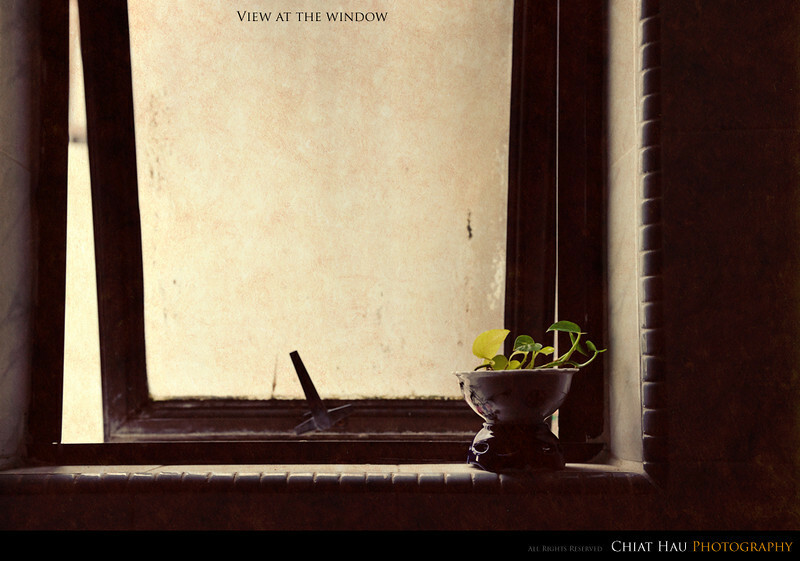 Chiat Hau is a portrait and wedding photographer based in Penang, Malaysia. He started his photography journey by shooting strangers' portrait on the streets of Penang and around the world whenever he travel. Observing life and culture through the viewfinder, Chiat Hau has found a passion for framing his subjects in a natural, cinematic and yet photo-journalistic fashion. Capturing precious moments in both commissioned assignments and personal projects.